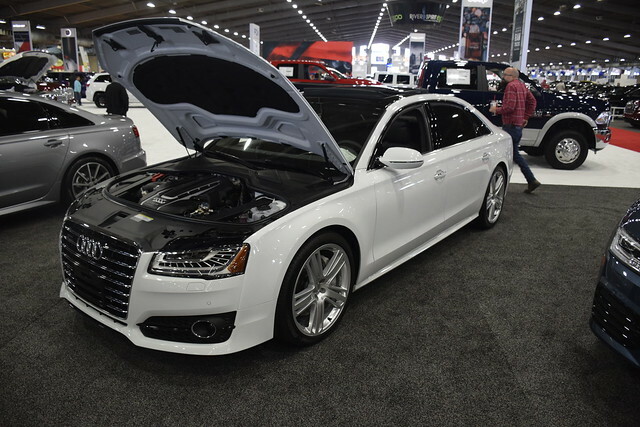 Saturday I ventured out to the Tulsa State Fairgrounds to the annual Tulsa Auto Show to see what is going on. I found a Porsche Carrera is one thing. And an Audi A8. Earlier in the week my cab driver, Mohammed, said look at that Audi! I said, is that Audi special? And he said, yes, it is their flagship car and is very expensive. I told my friend Mohammed that I thought the car looked like a Toyota and he just laughed. So I had to check it out. I didn’t write down what this cost but i think it was over $100,000. It has a twin turbocharged twelve cylinder engine and generates over 700 horsepower. That is all great and everything but it stil looks like a white Toyota to me. This is the car where all the guys were hanging out. Most cars you can wait until people clear out but they don’t clear out on this one. Women tried to get close to it but they kept slipping on all the testosterone on the floor. 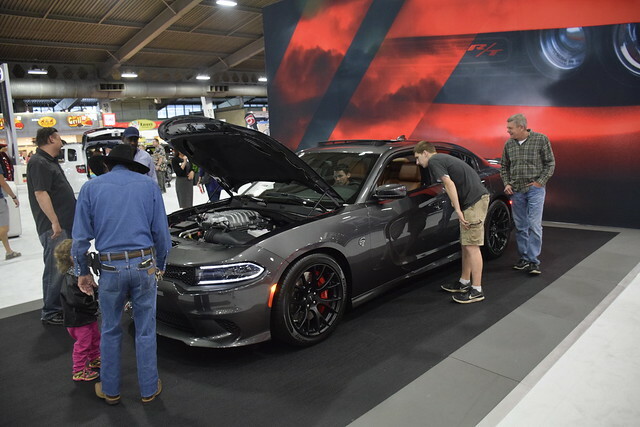 It is the Dodge Charger SRT Hellcat. 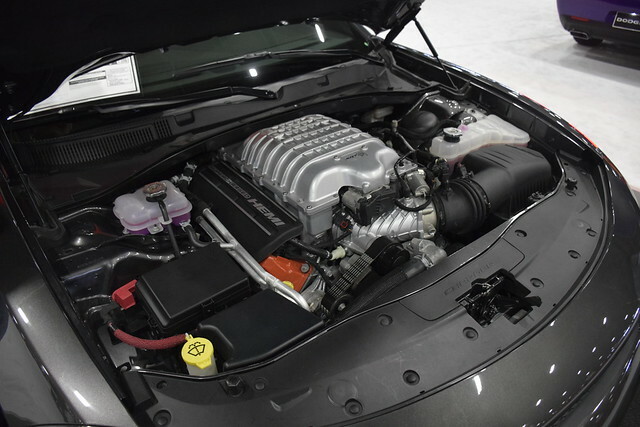 It has a supercharged 6.2L V8 and is regarded as the most powerful family sedan on earth. This is what was causing all the gasping and such. 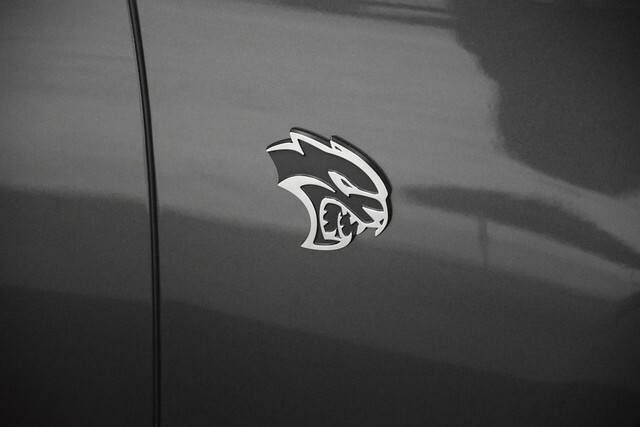 The nice sales lady in the miniskirt told me that the $70,000 price includes the custom Hellcat badge. I asked her how much for just the badge. I thought it would look good on my Kia Soul. She moved on to somebody else. 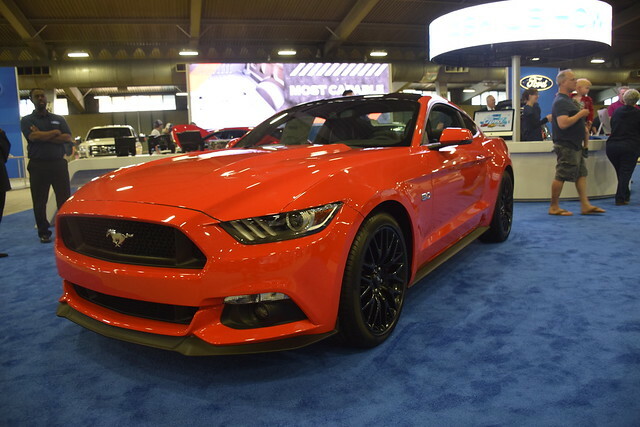 The Mustang GT is nice also. I don’t have the stats. Lots of car guys I know hate the Mustangs. I don’t quite understand why. I have to say though that at first glance the Mustang and the Charger look like Toyotas to me. Not that I have anything against Toyotas. 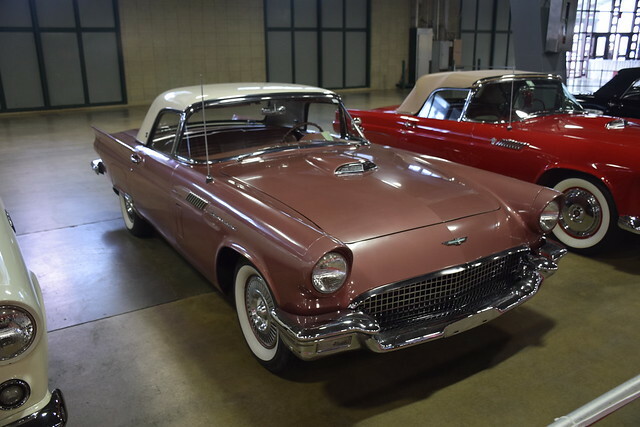 I like the older model Ford Thunderbirds. Nobody is going to mistake this for a Toyota. And here is something I had never seen before. 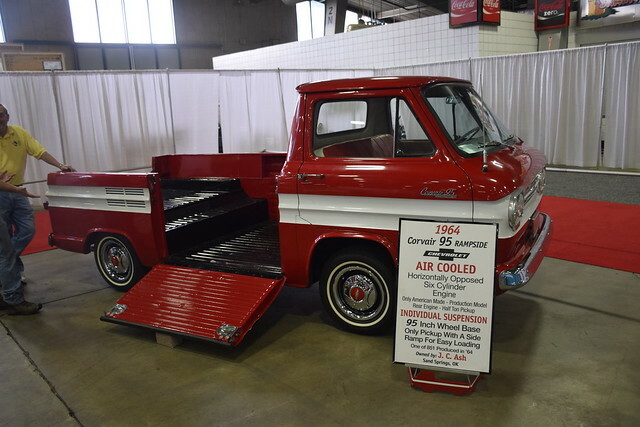 A Chevrolet Corvair pickup truck. Imagine a rear engine pickup. Imagine a gate on the side of the bed. That is a unique vehicle. 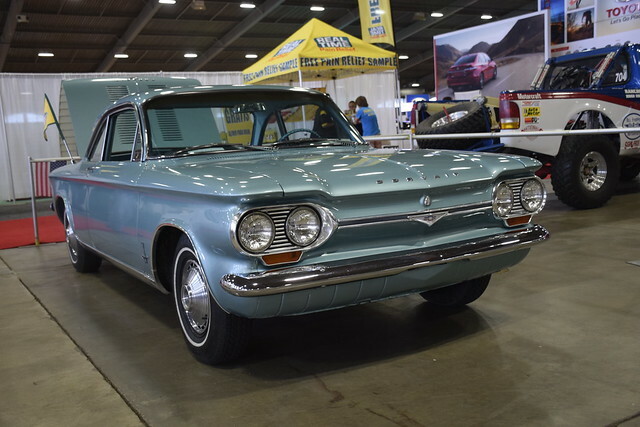 I always liked how the Corvairs looked but they sure got a bad rep when Ralph Nader’s book Unsafe at any Speed came out. The rear engine cars tended to spin out and cause accidents and the steering column, all one piece would impale the drivers. The car seems to have a loyal following. I don’t want one!! The flat six cylinder engine with turbocharger sure is compact. The spare tire went into the engine compartment. Too bad they did not get a chance to address the problems with the car. I am seeing fewer and fewer British Sports Cars as time goes by. I think this is an Austin Healy but I am not sure. These and the MG’s and a few others are the true sports cars in my book. The Jaguars and such are glorified Fords in my opinion. Except for the Porsche Carrera. It is still cool. 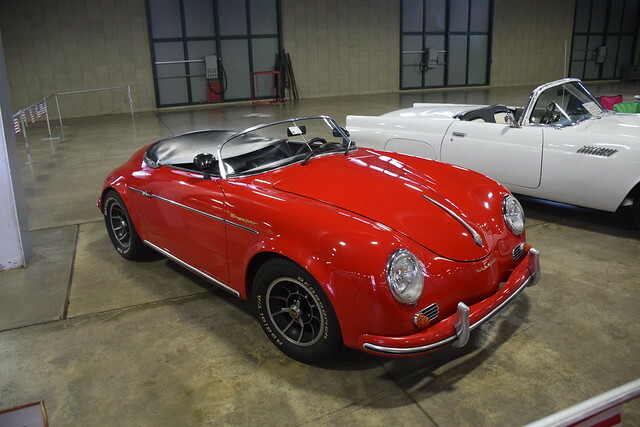 Speaking of, here is an older model from the late 50’s When I was a kid the only people who had Porsches were like airline captains, lawyers, and doctors. I had an Uncle who had one. He was an officer in the Navy and single and I think he had a Porsche. Then he got married and had kids. Adios Porsche. I was involved in a federal trial back in the late 80’s in Oklahoma City. His offices were out of downtown. On trial days I met him at his office and we road his Porsche to the courthouse downtown. He hardly ever got out of second gear. Plus he just parked where he wanted to downtown and nobody ever said a thing. I’ll have to write a post about the trial. I wasn’t on trial, my employer was. I think I am waiting for the judge to die though before I say anything online. Buy me a beer or two though and I’ll tell you the whole story. Here is the star of the show, in my eyes. 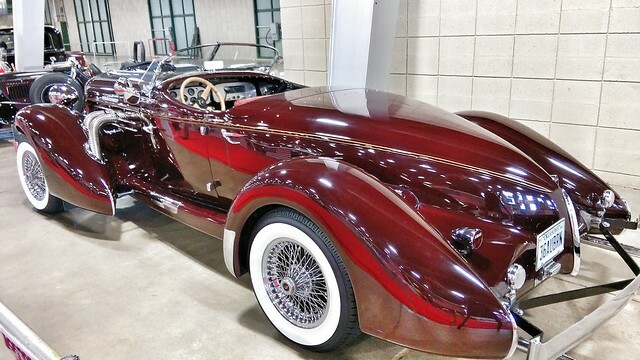 It is a 1966 Auburn Cord Duesenberg Auburn 866 Speedster. Only a few hundred were made in the factory at the Tulsa suburb of Broken Arrow. I love it. I don’t think that I have ever seen one before. It is one of the most beautiful cars I have ever seen. This is the vehicle I coveted the most though. 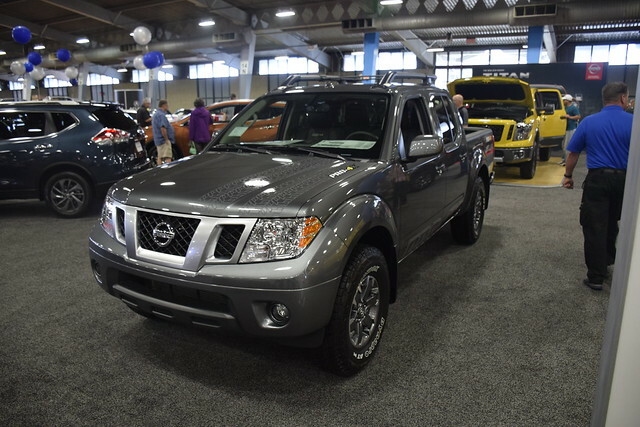 A Nissan Frontier pickup. I miss my Toyota Tacoma that I traded in for my Kia Soul. The Tacoma has bloated to almost full size. The Frontier is still kind of small. No new cars for the Bates family though until the price of oil comes some more, A LOT more. Plus I’ll get mine used, thank you very much. So, do you like to go to car shows? This entry was posted in Cars and tagged Car Shows, Cars, Oklahoma, Tulsa on April 17, 2016 by Alan Bates. 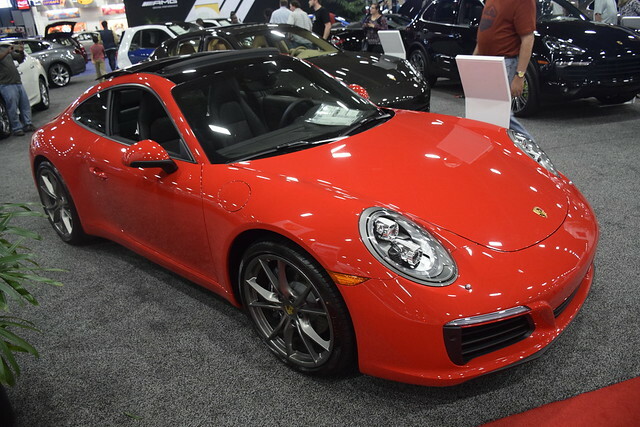 I’ll skip the Corvair and the Toyota look-alikes, but that red Porche is pretty cool. LOVE this post! The Porsche will always be the gold standard for what a true sports car is supposed to be. I had a Datsun 240Z when I was much younger and more adventurous. 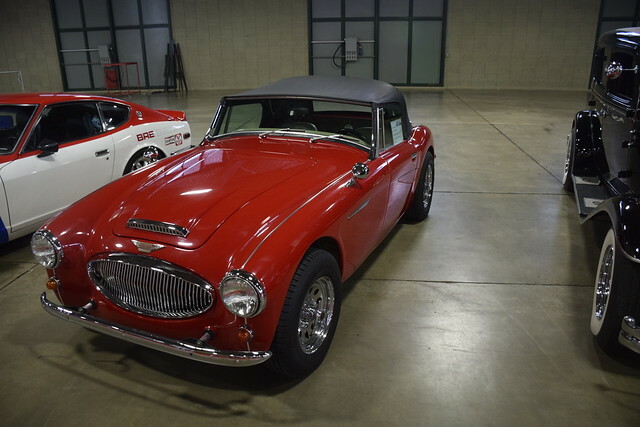 Yes, that is an Austin Healy and yes, most all of the British sports car makers have disappeared. Triumph, Austin Healy, Lotus are all gone. I do remember the Corvair pick-up. In fact a guy put a blown Chevy in the back of one, turned it into a drag car and it could do a wheelie the entire length of the drag strip. No doubt, that Auburn would be the diva of any show that it goes to. Stunning rolling art it is. I’d rather look at the old rigs because the new ones all look like Toyotas to me. Those are some mighty beautiful automobiles!! Somebody in the family does! Not the one who blogs though. But even I like looking at the cars that bring back memories (back when we recognized everyone in town by what car they drove — before they all looked alike).